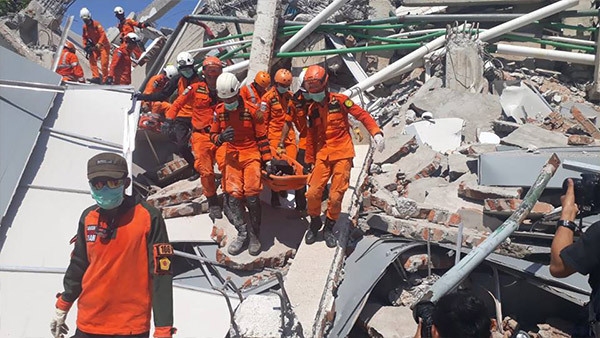 28th, October 5:30 am MBS Radio "Emergency Response to Earthquake and Tsunami in Indonesia, Sulawesi" : Yuko SHIBATA, General Manager, Emergency Response Division, Japan Platform have appeared on. October 28 (Sunday), Yuko SHIBATA, General Manager of Emergency Response Division, Japan Platform (JPF), have appeared on Network 1・17 Mainichi Broadcast (MBS Radio AM1179, FM 90.6). 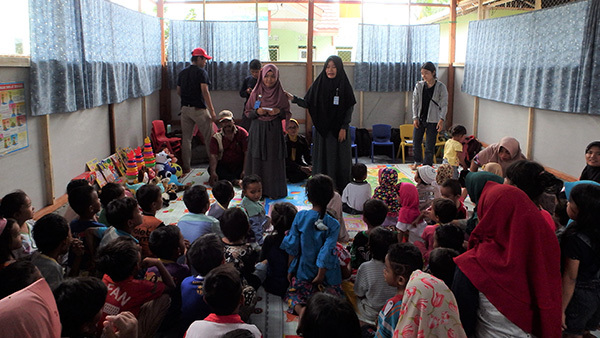 End of the September the earthquake and tsunami have attacked on Sulawesi, Indonesia, so she have talked about affected peoples' needs, situation and JPF's currently response activities. These information is hard to access from Japan. On today, the podcast is free access to listen on the broadcasting website on that day. The people who can check the podcast at that day, such as missed listening, living in outside of Kansai area and cannot access it. The podcast is now on open, so please feel free to access. 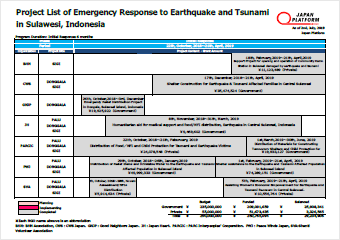 5:30 am on tomorrow morning: "Emergency Response to Earthquake and Tsunami in Indonesia, Sulawesi": Yuko SHIBATA, General Manager, Emergency Response Division, Japan Platform will appear on. October 28 (Sunday), Yuko SHIBATA, General Manager of Emergency Response Division, Japan Platform, will appear on Network 1・17 Mainichi Broadcast (MBS Radio AM1179, FM 90.6). 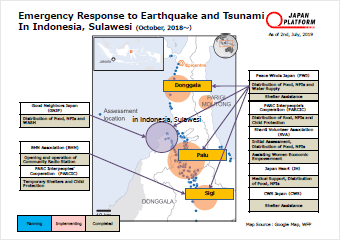 End of September, the earthquake and tsunami have attacked on Sulawesi, Indonesia, so she will talk about affected peoples' needs, situation and JPF's currently response activities. These information is hard to access from Japan. While 5:30 a.m. tomorrow will broadcast, please listen to it if you are living in Kansai area. In the case of you are not living in there, you can also listen to the podcast at the following website after broadcasting. 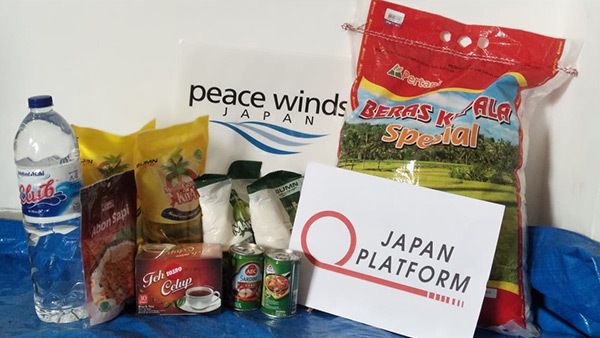 Japan Platform (JPF) member NGO Peace Winds Japan (PWJ) delivers foods for the affected people by earthquake in Sulawesi, Indonesia last month. 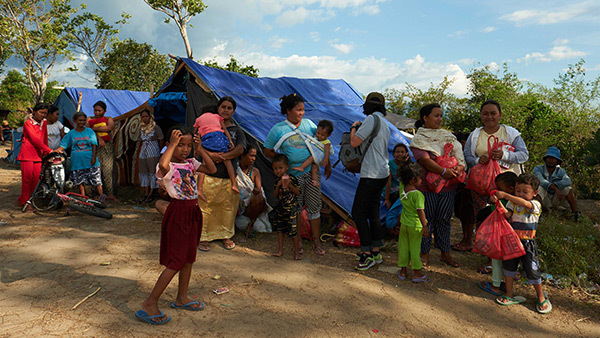 Due to rainy season, there are massive mosquitoes and affected people are staying under the tents made by blue sheets, therefore they are concerned about the infection of malaria. Many people are affected, and it is very difficult to maintain fairness when delivering supporting items. PWJ staff who is under supporting action at the local site talks the difficulties of supporting activities in there "The situation on the site is constantly changing, and the information and needs of a few days ago are often totally different." 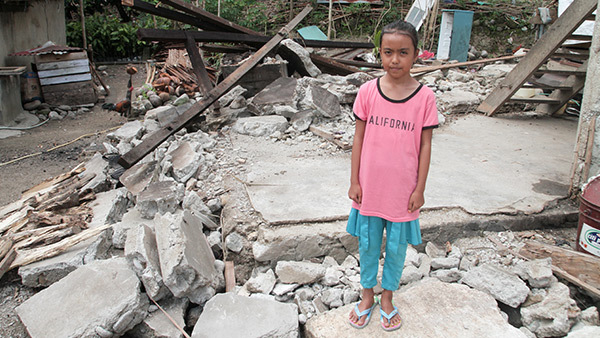 Ayu, 10 years old, was preparing for taking a bath at her room when the earthquake was happened, but she felt danger strong ground shakes then she ran into school with her wearing. 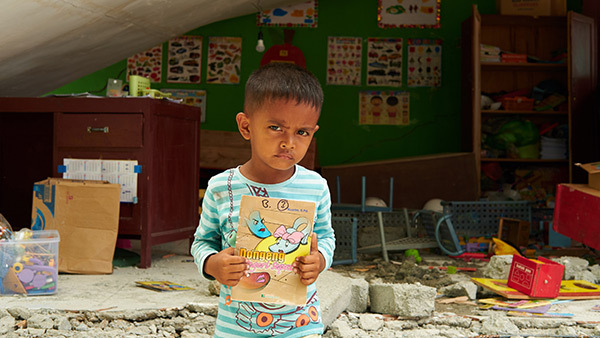 She has a dream to become a doctor in the future, and she waiting for a day to study and play at school with friends again. 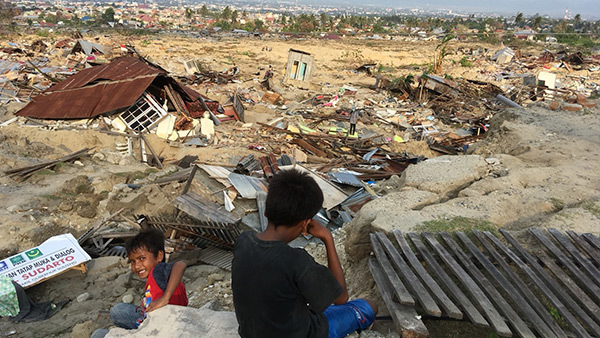 Japan Platform (JPF) and member NGOs supports the affected people in Sulawesi, Indonesia where more than 8 million people forced to be evacuated after the disaster happened. 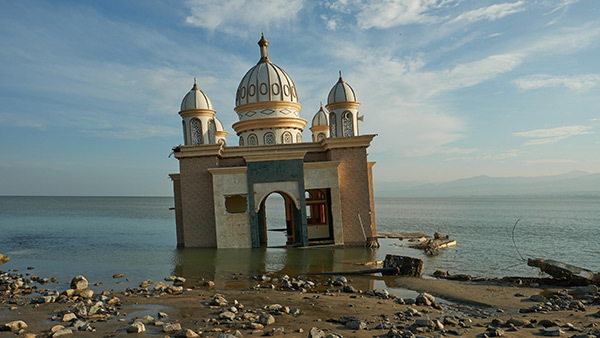 After the earthquake happened, the mosque have severe damaged. Still many people come together every day. They come here to socialize and charge their phone and laptop in order to contact their lovers even though they knows the risks of collapse. The family are removing the debris from their house which with their own hands. 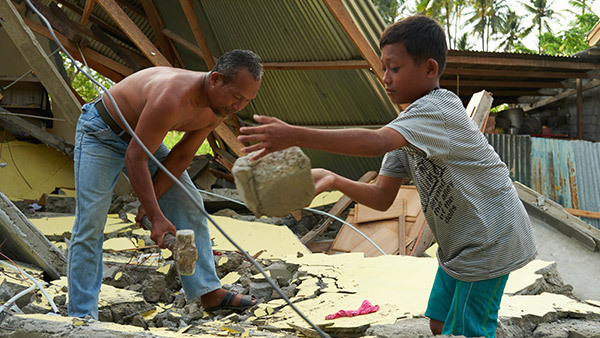 Their house was severe damaged by earthquake and tsunami. Hari and his son, Rama are currently live in temporary shelter. They comment "our house was badly damaged and only the bathroom didn't collapse. In the future we will rebuild on the same land because there is no other choice. For the time being our urgent needs are food and drinking water. I still need baby milk and diapers for my child." 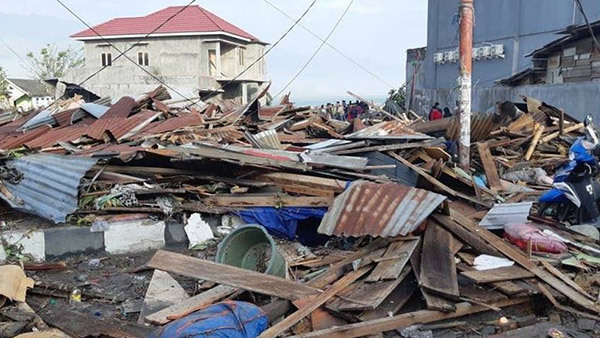 On 28th September, Palu city was severe damaged by the earthquake which epicenter of central Sulawesi Island, Indonesia. 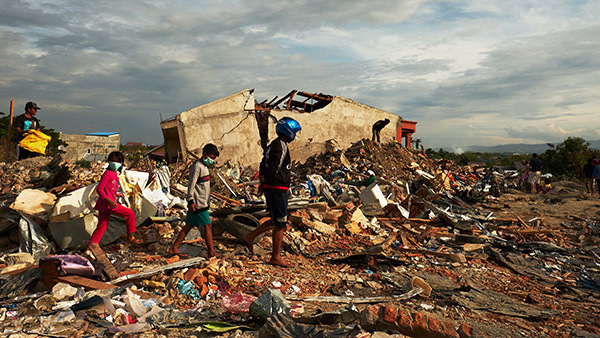 The affected people walk along the limited way covered by debris to their destination. 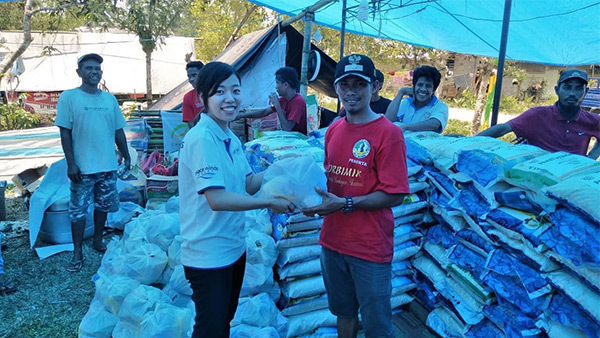 The Daily Jakarta Shimbun broadcasts Japan Platform (JPF) member NGO: Peace Winds Japan (PWJ) entered the affected areas, Palu City, to investigate the damage of tsunami and earthquake then started support activities with local partner organization, ACT. As a subsidized project by JPF, PWJ staff who quickly entered the sites and comments about further support. "I would like to investigate the situation of close to the epicenter such as north Palu city and Donggala. We also would like to decide the support policies, for example delivery of dignity kits or blue sheet with anticipate thousands of death people." JPF will deliver prompt and effective support with member NGOs. Japan Platform (JPF) is collecting information the necessities and possibilities of support for affected people and areas from Japan in case of emergency. 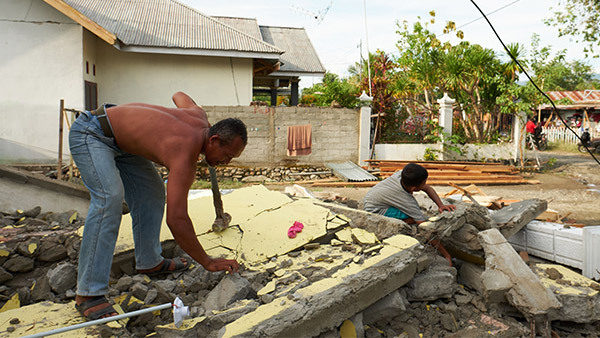 JPF started an emergency initial assessment with PWJ, the member NGO, and PWJ entered the affected areas on Oct 1. Local Government presses 832 faculties on 30th September, but recognize the whole impacts is unclear. Due to the severity of the situation, we have decided the expansion of the response period and funds as below. Along with our deepest appreciation for all enterprises, organizations, individuals whom offered a support, and as JPF, we will be responsible for the donations and the services to be delivered validly and effectively for whom are in need. 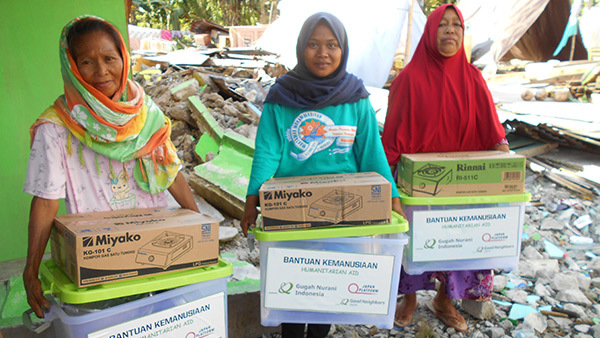 On 3rd October, Japan Platform (JPF) is determined to support the affected people of Earthquakes & Tsunami of Sulawesi, Indonesia happened on Sep 28. In addition, we are collecting donations. Please donate to help us meet their most urgent requirements. 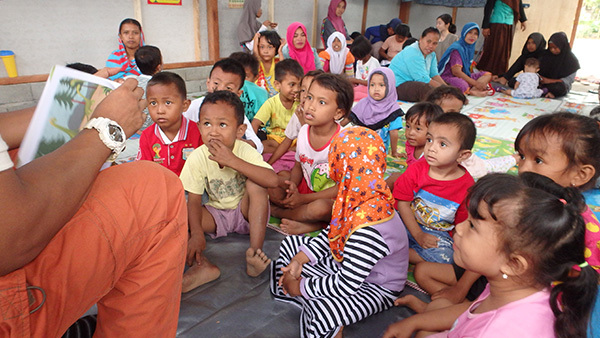 JPF started an emergency initial assessment with PWJ, the member NGO, and PWJ entered the affected areas on Oct 1. 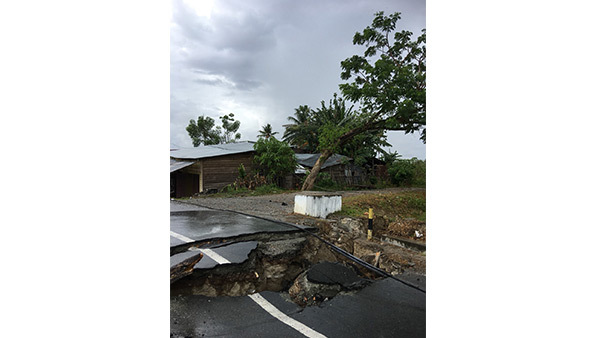 Currently, we are collecting information about disaster situation & aid requirements in association with the local government, UN affiliates and several NGOs. JPF have decided to subsidize activities of the member NGOs, Peace Winds Japan (PWJ) as an emergency initial survey. PWJ entered the site on October 1st, and is currently investigating. Japan Platform (JPF) is collecting information the necessities and possibilities of support for affected people and areas from Japan in case of emergency. The earthquake is magnitude 7.5, epicenter depth 10 km※ which occurred at 6:03 pm on September 28 (around 7:03 pm Japan time), central Sulawesi island of Indonesia (78 km north of Middle Sulawesi Province Palus) and it coincides tsunami. Please see the latest project content · subsidy amount and period. 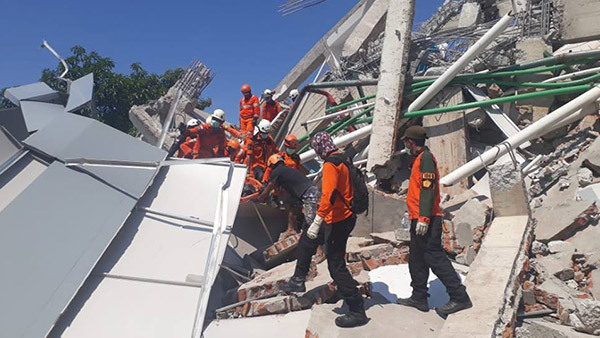 On Sep 28, around 18:03（Japan time 19:03）, a 7.5 magnitude earthquake struck the Central Sulawesi province, the epicenter is located 78km far from North Palu coast, and 10km deep. 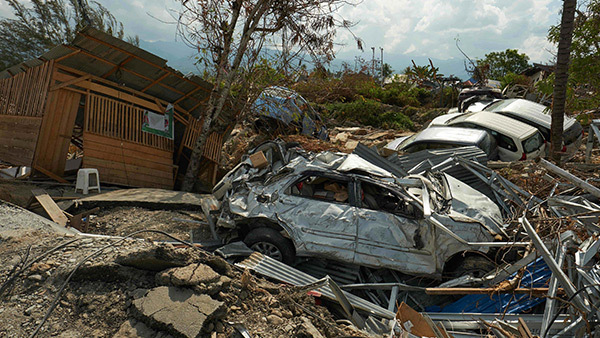 Due to the Earthquake & Tsunami, 1,234 people died, and more than 632 are critical condition and 99 are missing. 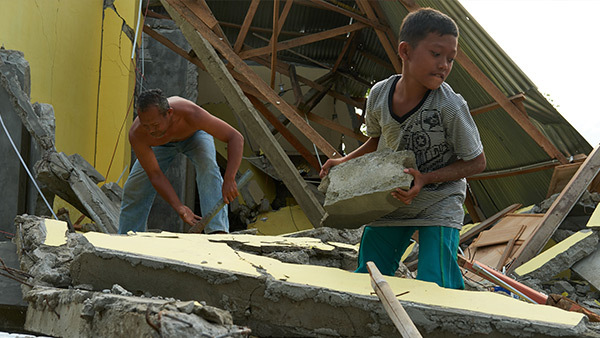 65,733 buildings and houses were destroyed, 61,867 people are now forced to evacuate to tents now in lack of shelters. 191,000 people are in need of humanitarian aid. the numbers above may be included ※2 Despite the rescue efforts, due to the interruption of telecommunication and blocked access of destroyed roads & bridges, the overall situation remain unclear and the impact scale may expand. The Central Sulawesi administration declared 14 day state of emergency period from Sep 28 to Oct 11. Also, on Oct 1, the Indonesian Government declared to accept International support. 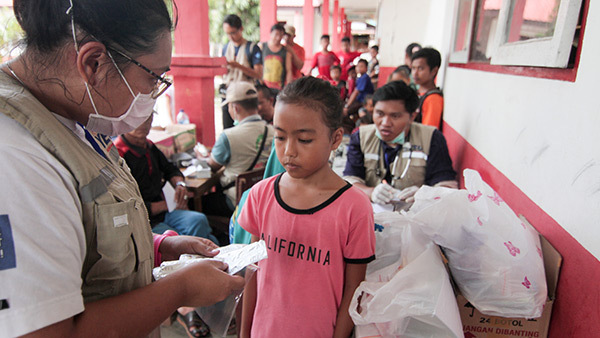 Support by air transportation, providing tents, water cleaner and electricity generator, medical support including fighting malaria are especially requested. JPF determined resources to support the local investigation & situation. 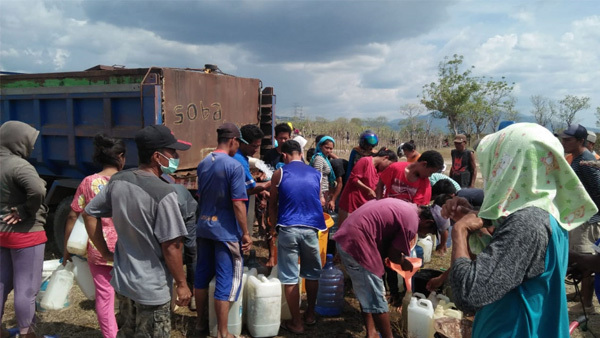 Each NGO is now preparing to provide safe access to water resources & medical support, NFI & food delivering, supporting evacuation center and shelters. JPF will provide prompt support at the time of emergency in association with its member NGOs, local government and supported organizations. Further will be reported on the JPF website as well as through its Facebook page. *The project term, budget may be readjusted based on the local situation. ※Please burden bank transfer fee at your expense. Monthly Supporters can select to donate through credit card or bank transfers.